Features: The climate here doesn’t support Joshua trees, which deters a number of people from making the trek. 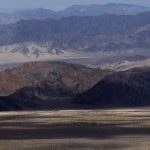 Consequently, this relatively lesser-trodden hike is perfect for those with limited time or for travelers staying in or passing through the Coachella Valley. The beginning of this loop is nestled into the Cottonwood Springs Oasis and is named for the prominent lone Cottonwood tree that rises above the crowded fan palms. Placards are placed about the short nature trail educate tourists about the miners and settlers who planted many of the trees in the early 1900s for shelter and to mark the springs. There’s even a split rail fence protecting an old mule-driven arrastra, or a pit where freshly mined ore was crushed to make it more transportable. Climbing out of the oasis and into the maze of shallow canyons and washes reveals views of Mastadon Peak rising in the distance. Here massive boulders, sheer high-ball boulder problems, and a few single pitch rock climbs dot the landscape. These areas are less popular for climbing than other hot spots in the park, but they still offer excellent rock and fun movement. Negotiating the moderately steep climb to the peak takes hikers by a wealth of desert flora. It’s an ecological transition zone between the Sonoran Desert to the east and the Mojave to the west. 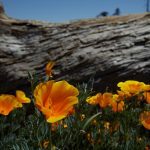 Therefore, creostone, jojoba, juniper, ocotillo, and many species of cacti abound while the observant traveler can also get glimpses of mesquite, willow, and smoketrees. From the top of Mastodon Peak, views across the Eagle Mountains span out to the north while the Cottonwood Mountains stretch to the west and the Salton Sea sits to the south. Pay close attention if you choose to continue on the loop and descend to the west of the peak—the washes can be sparingly marked. Those who come down this way get an excellent look at the Mastodon Mine and continue on a path that later intersects the trail to Cottonwood Campground. After roughly 2.7 miles turn left onto Date Palm Dr. Turn left (north) onto Cottonwood Springs Rd. After 6.9 miles, at the visitor center, turn right onto Cottonwood Oasis Rd. Trail Directions: The trailhead to the Cottonwood Springs Nature Trail and the Mastadon Peak Loop is best accessed from the southern end of Joshua Tree National Park. Caution: Weather and road conditions can change in an instant. Always check with the managing agency before embarking on a trip. Always hike with a friend and carry a cell phone for emergencies. Bring plenty of drinking water, food, and clothing for changing weather conditions. Let someone know where you are going and when you intend to be back. 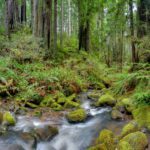 Remember, California’s wild places are beautiful but they can also be dangerous to the unprepared and unwary. 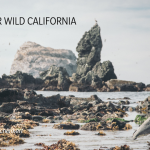 The California Wilderness Coalition assumes no liability if you intend to visit any of the wild places featured in our materials.